The WaterRower A1 rowing machine has been designed to mimic the movement of a boat over water and bring you a real rowing experience in the comfort of your own home. 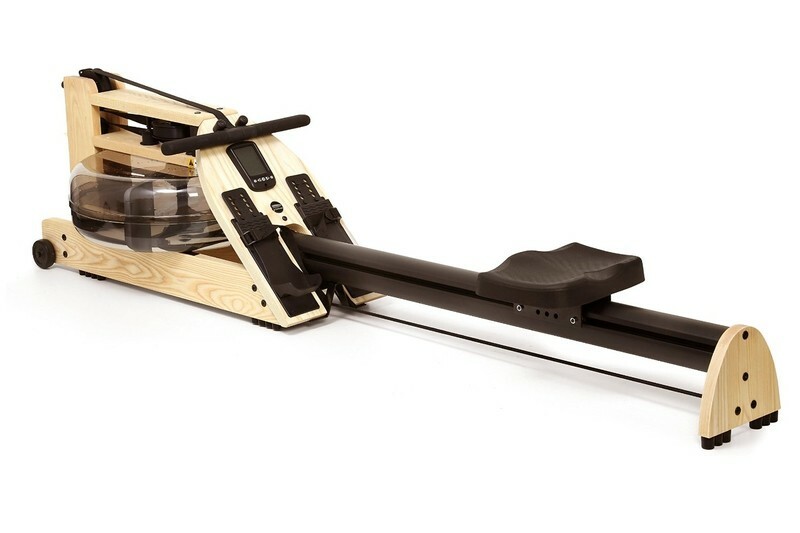 Thanks to a unique mono-rail the machine encourages natural and fluid motion and helps practice good rowing technique. Natural resistance is delivered by the water in the sealed tank, and the console display will provide you with feedback on stroke rate, the total number of strokes, rowing duration, distance, intensity and more. The rowing machine has been handcrafted from solid ash wood and features pivoting footplates with adjustable straps. 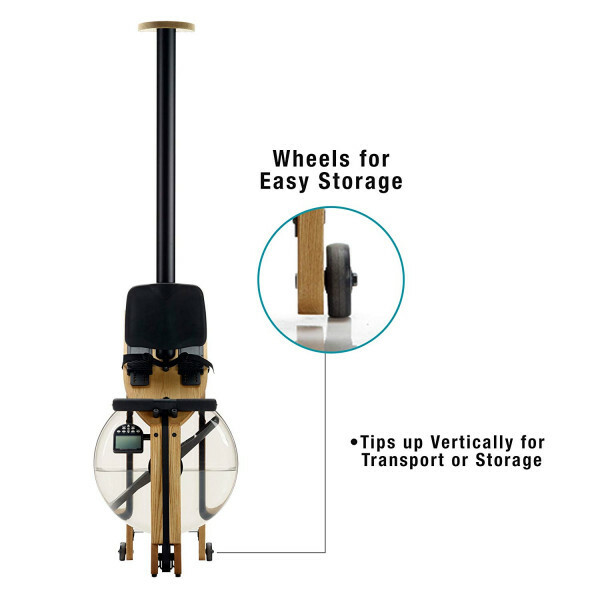 It also can be folded up vertically for easier storage when not in use and has transportation wheels. A single stroke on the WaterRower A1 recruits every large muscle group in the body (84% of total muscle mass.) This total body workout builds lean muscle and burns calories at a rate up to, and even in excess of, 1000 cals / hour. 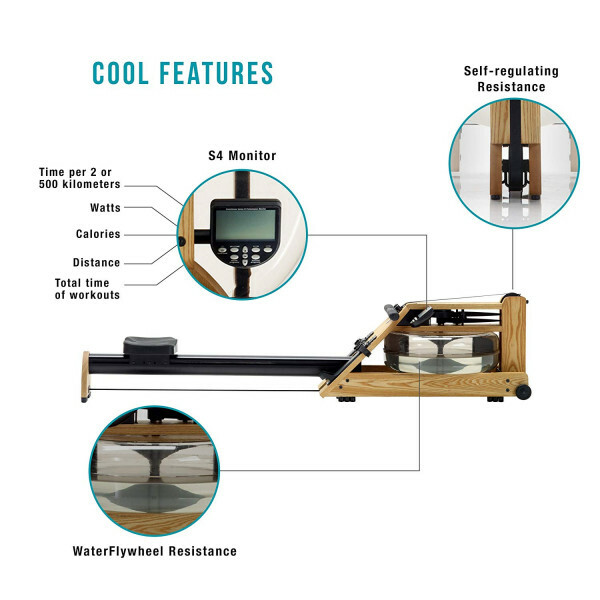 Unlike the mechanical feeling of fan and magnetic rowing machines, a WaterRower harnesses the power of water to provide a smooth and even resistance. Each stroke on a WaterRower churns the paddle on its unique WaterFlywheel. The result? A workout that feels and sounds just like rowing in a boat, and one that is unrivaled in replicating not only the physiological dynamics of rowing, but also the aesthetic pleasure. As with rowing in a boat, resistance on a WaterRower is self-regulating. No need for artificial adjustment, resistance on a WaterRower is 100% natural, the harder you pull the greater the resistance. 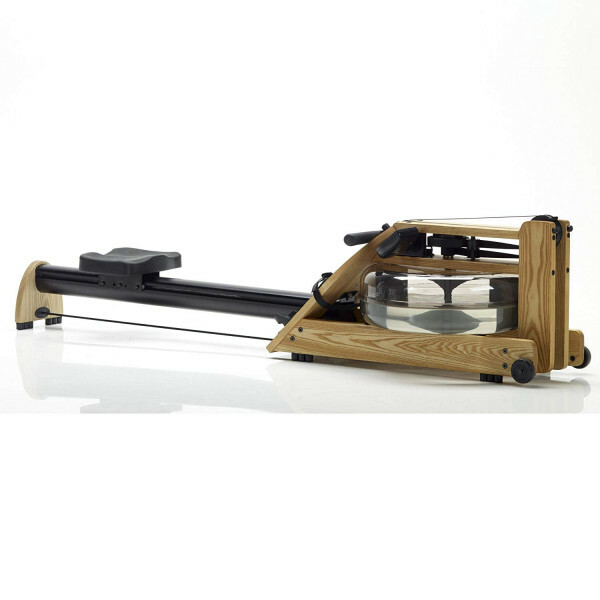 Thus a WaterRower is suitable for any user, from a total beginner though to an Olympic Champion rower. 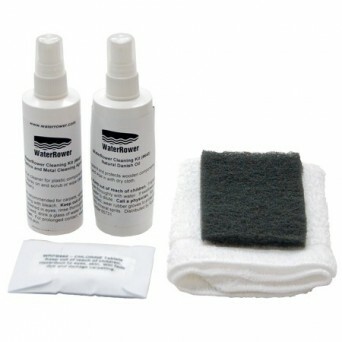 A further benefit of the WaterFlywheel is the minimal strain that is put on joints and the lower back. Free from the impact and jarring that come with many other forms of cardiovascular exercise, a WaterRower is often used as a training tool for those rehabilitating from injury. 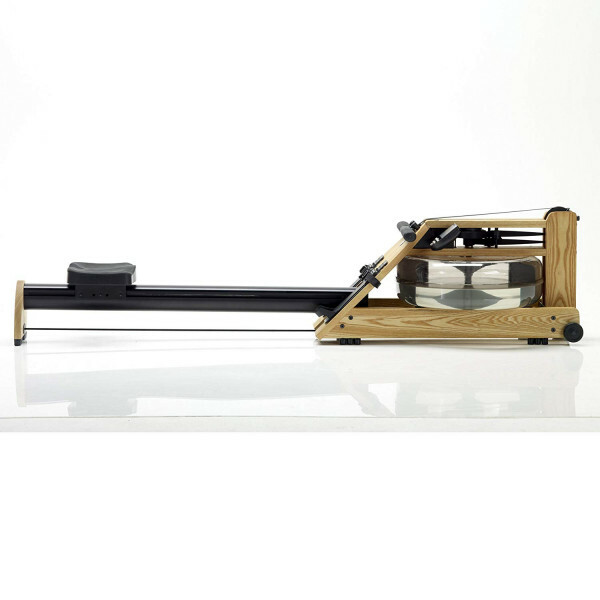 The WaterRower A1 has been designed to fit seamlessly into the home environment. 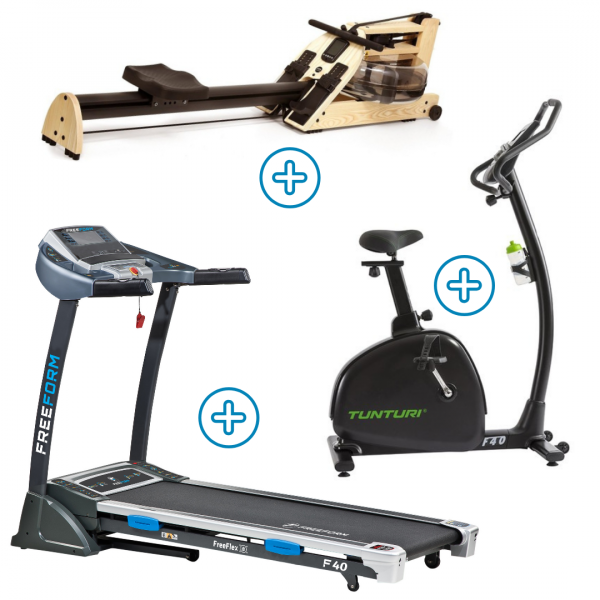 In contrast to traditional exercise equipment, the handsome looks of the WaterRower mean that it compliments the decor of almost any room in the house. As with all WaterRowers, when not in use the A1 Home can be folded up vertically for space saving storage. Transportation guide wheels on the front of the the machine allow for the Classic to be easily maneuvered around the home. Originally designed for use in commercial fitness studios; the WaterRower A1 differs from the rest of the WaterRower range in that it has an aluminium mono-rail supporting the seat. 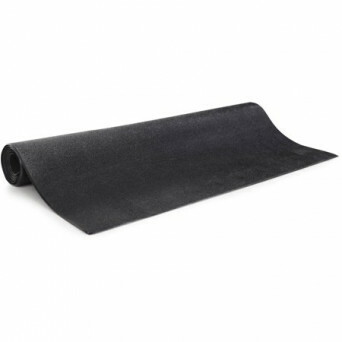 This means that the A1 Home has a slightly smaller in-use footprint than other WaterRowers, however the trade off for this is that the seat action is not as smooth and stable as it is on a dual rail WaterRower. The entry level machine in the WaterRower range, the A1 is built to the same high quality long associated with the WaterRower brand, and is a commercial gym grade rowing machine at a competitive price.